The Israeli occupation authorities (IOA) on Sunday threatened the demolition of three Palestinian homes in Salfit’s western town of Brukin. According to local sources, the targeted homes are located near the Trans-Samaria Highway connecting Israeli illegal settlements built on Palestinian lands in the area. Researcher Khaled Maali said at least 22 such notifications have been issued by the IOA in Salfit over the past five days. Recently, Israeli demolition notifications and stop-construction orders targeted Palestinian homes in Deir Istiya, Haris, Brukin, and Kafr1 al-Deek. Maali added that the notifications are often issued under the pretext that the targeted homes are built in the Israeli-run Area C.
Israeli settlers at dawn Sunday seized a Palestinian home in Jerusalem’s town of Silwan, to the south of the holy al-Aqsa Mosque. Settlers from the extremist Elad settler organization, accompanied by police forces, reportedly grabbed hold of a Palestinian building in Silwan at the crack of dawn. The Wadi Hilweh Information Center refused to release further details as regards the seized building, saying data has to be checked out meticulously so as to allow the house owners to successfully appeal to Israeli courts. 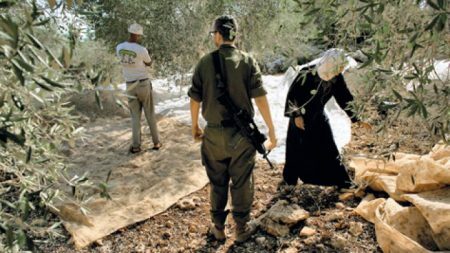 The Israeli Elad settlement organization has been notorious for its land and home grab in the occupied Palestinian territories, particularly in East Jerusalem and its Old City. Israeli municipality in occupied Jerusalem issued Saturday a demolition order against a Palestinian house in Silwan town, south of al-Aqsa Mosque under the pretext of being built without permit. "I had to build this house at the ruins of the demolished building after my family and I were left homeless", Ja’afra continued. 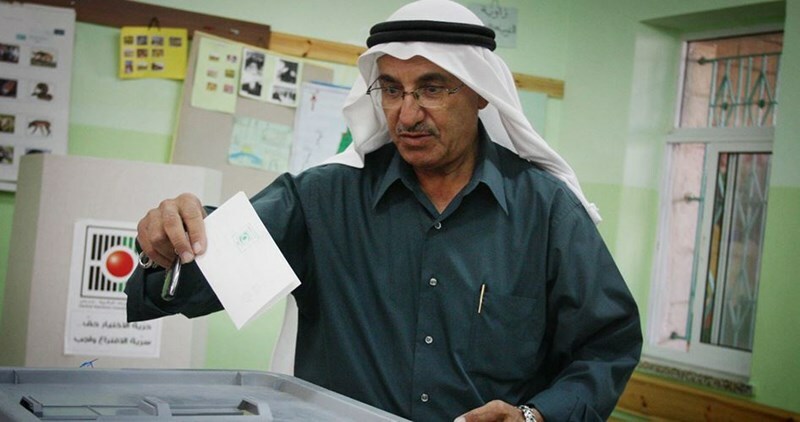 However, Israeli municipality issued a demolition order against the second house, he said. The Israeli municipality refused three appeals submitted by the Jerusalemite resident against the demolition order. Ja’afra explained that the municipality asked him either to demolish his house by himself or to pay the demolition fees estimated at 40,000 shekels. 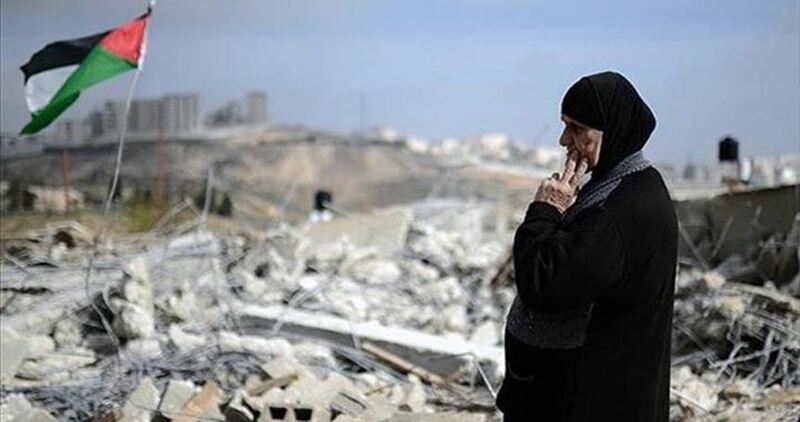 The European Union (EU) has estimated the losses caused by the Israeli policy of demolishing Palestinian homes in Area C at 242,725 Euros over just the six past months. There is a remarkable and unprecedented increase in the number of demolition orders. A report by the EU showed that the financial losses formed 2.4% of the annual humanitarian aid in the West Bank (in comparison with 1.32% in 2015 and 0.58% in 2014). The EU warned of the seriousness of the escalation of demolition operations in 2017 saying that the policy of razing Palestinian homes targets the weak people who are threatened with forcible deportation in southern al-Khalil, Jordan Valley, and the Eastern area (E1) in Occupied Jerusalem. 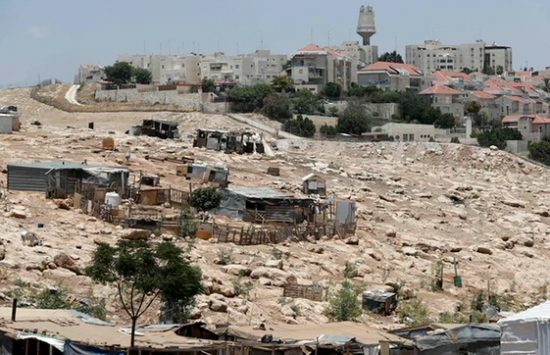 The Israeli municipal authority in Occupied Jerusalem has notified a Palestinian citizen of its intention to demolish his home in Silwan district for the second time and displace his family at the pretext of unlicensed construction. According to Wadi Hilweh Information Center in Silwan, Issa Ja’afera, a Jerusalemite citizen, recently built a makeshift home made of wood and steel sheets after the municipality knocked down his house on October 26, 2016. As a result of Israel’s racist demolition policy, Ja’afera and his eight family members will become homeless again. Several court hearings were held in vain to postpone the demolition of his home, and the Israeli municipality refuses to impose a financial penalty on him in order to delay the demolition measure. Ja’afera said the municipality ordered him to remove his own home or else he would incur demolition expenses amounting to 40,000 shekels. “I will not demolish my home, and I cannot even think about it. It is impossible for me to demolish my own home with my own hands," he said. The Israeli occupation authorities (IOA) at noontime Thursday threatened to knock down a Palestinian home in al-Khalil’s western town of Tarkoumia, in the southern West Bank. Palestinian citizen Alaa Kaakour said the IOA handed him a notification to demolish his 220-square-meter home, shortly after he finished the exhausting construction works. The notification was issued under the pretext that the home is illegally built in the Israeli-run Area C.
In 2016, the IOA knocked down at least 1,023 Palestinian buildings in the West Bank and Jerusalem and threatened to raze 657 others to the ground sometime soon. 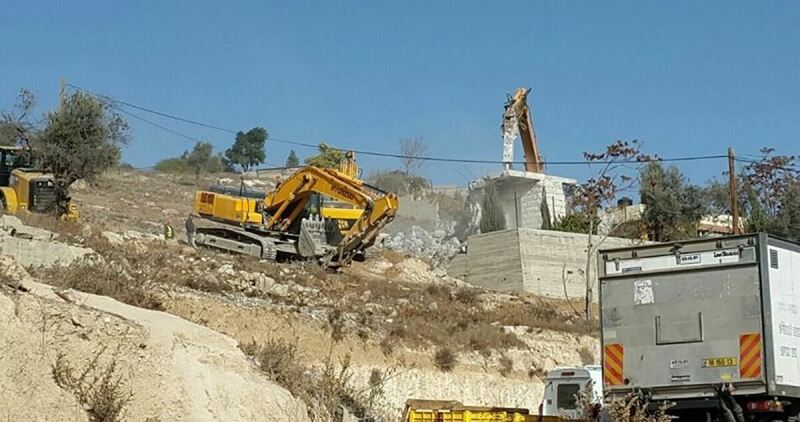 Israeli occupation municipality bulldozers on Wednesday morning knocked down a Palestinian home in Jerusalem’s eastern town of Beit Hanina. 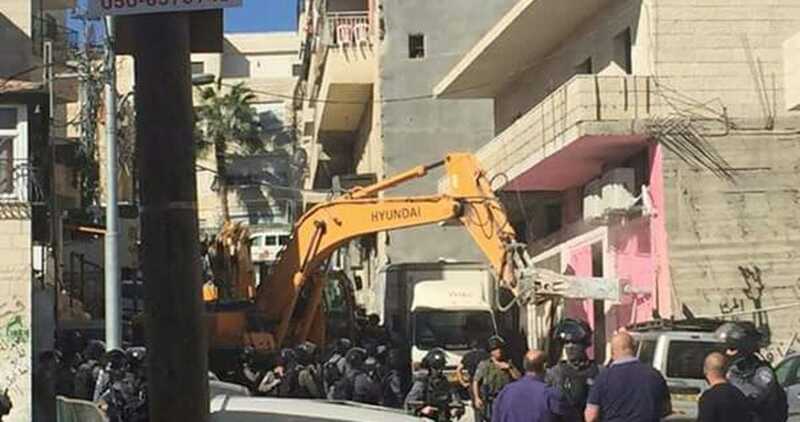 Israeli bulldozers, escorted by policemen, stormed al-Ashkariya neighborhood in Beit Hanina and demolished a home owned by the Palestinian citizen Yasser Musalma. The occupation cops cordoned off the home all the way through the demolition process. The Musalma family members have gone homeless as a result of the abrupt demolition, having no other shelter to hide into. The demolition was reportedly carried out under the clichéd pretext of unlicensed construction. 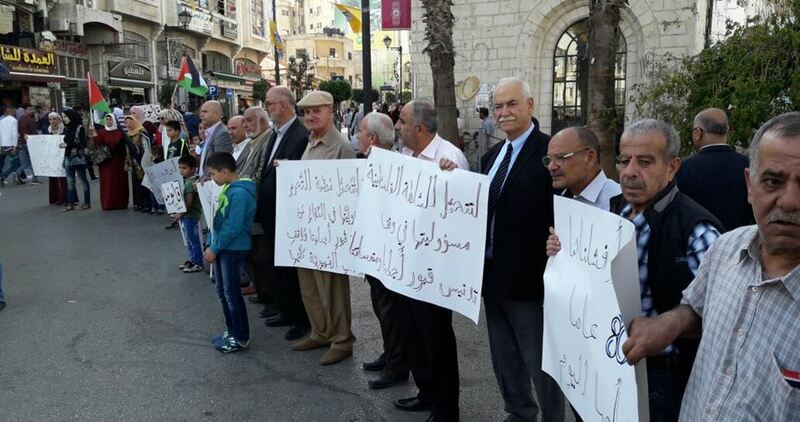 The Israeli occupation authorities (IOA) on Wednesday morning knocked down water wells in Bethlehem’s eastern town of Tekoua’. 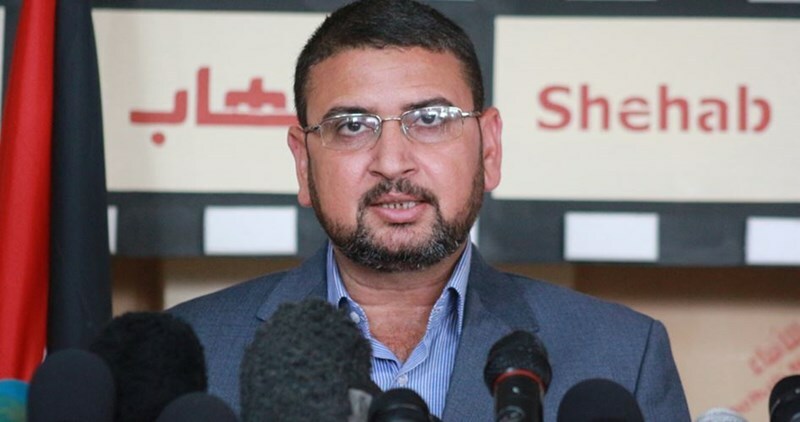 Tekoua’ Mayor, Tayseer Abu Mufreh, said Israeli occupation vehicles demolished ten water walls used by Palestinian farmers under the pretext of unlicensed construction. At the same time, the occupation forces prevented the land owners from reaching the demolition site. 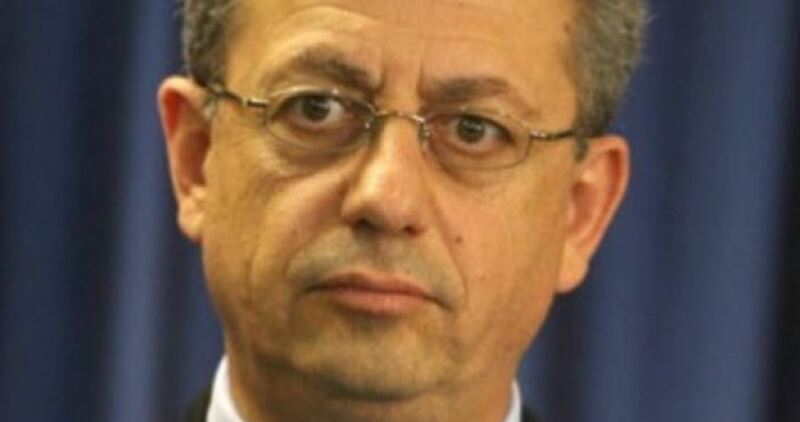 Tekoua’ Mayor dubbed the demolition illegal and groundless as no court rule has been issued regarding the affair.